The second year of the inspirational programme began with workshops held in the rewilding area, introducing Romanian elementary school students to project development and wild nature. The second year of the Bison school club programme has tasked clubs with developing projects that are relevant for their local community. 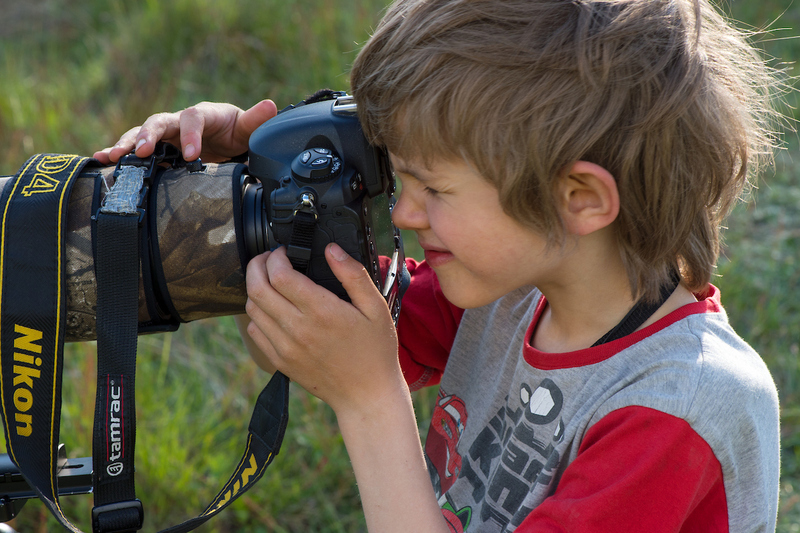 Rewilding Europe is committed to connecting younger generations with wild nature, so it is heartening to see a growing number of European children and young adults now learning about and becoming inspired by rewilding. As part of an ambitious educational outreach programme in the Southern Carpathians rewilding area in southwest Romania, a series of workshops was held during autumn to kick off the second year of local bison school clubs. The focus of this second year is to build skills for project management, and tasks the clubs with developing projecs that are relevant to their local community. The schools involved are from Densuș and Sarmizegetusa, in Hunedoara County, and from Armeniș, Feneș and Teregova in the Caraș-Severin County. The clubs are formed of pupils from the fifth to eighth grades, and follow an education methodology developed and successfully tested by WWF in the region between 2014-2016, when five youth clubs were established in the towns of Reșița, Anina, Băile Herculane, Orșova and Lupeni. Building on the achievements of the European Commission-funded LIFE Bison project, through which Rewilding Europe and WWF Romania are currently reintroducing European bison into the Southern Carpathians, the educational outreach programme is part of a vision for using nature – with a particular focus on the reintroduced bison – as an engine for developing the region. Such development is witnessing ongoing investment in nature-based tourism, local communities, education, nature research and technological innovation. As part of the workshops, the members of the school clubs – which are known as TANZ in Romanian – were taught about the main steps involved in a project, from the idea stage right through to implementation and the achievement of positive results. This involved practical activities such as play, drawing, ideation, debate and teamwork. The LIFE Bison team invited various experts from across the region to deliver the workshops, as they look to build a regional network of support and inspiration for the clubs and encourage an exchange of information, ideas and skills. The workshop series kicked off at the St. Dimitrie Technological High School in Teregova, which is close to the village of Armenis and the Bison Hillock. It was overseen by Astarte Cirstea, a young veterinarian and member of the WWF youth taskforce supporting the development of an innovative wildlife monitoring system and the building of local biking and hiking trails. She explained the project concept, and helped the group come up with three project ideas that would resolve certain issues in the community and improve quality of life. The workshops saw students come up with an array of great ideas. The students came up with an array of great ideas, such as a shelter for stray animals, a local music and dance festival, and a “school after school” for younger children from disadvantaged families. The teenagers were also helped to identify each other’s biggest strengths and abilities, which would be useful in realising projects, and challenged to visualise the projects taking shape in their community by defining objectives and stakeholders. The workshop tour continued with a meeting of Armenis school clubs, where Clara Tîrcă, a talented teacher and poet, and coordinator of a youth empowerment NGO from Eșelnița (a small town close to the Danube, in the same region), gave an interactive presentation. She also explained what projects involve, and how they can be developed and implemented using a tool called “the tree of problems and solutions”. The group worked on an example of a potential project dealing with the problem of litter, recycling and education, with a goal of achieving more responsible consumption and active citizenship. Following the identification of a number of solutions, the group were tasked with discussing them further (and possibly acting on them) in subsequent club meetings. 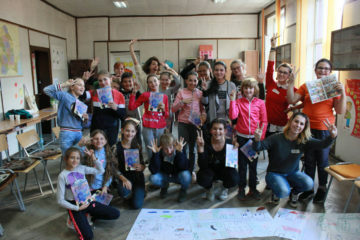 The last workshop was held at the Densuș and Sarmizegetusa bison clubs, hosted by Densuș School on September 27. It was overseen by a team of students and their maths teacher from a high school in the nearby town of Reșița, themselves coordinators of a similar youth club started by WWF a few years back, and still very active and experienced in leading projects in their community. The workshop followed a similar format to the others; some ideas that the club members came up with were the renovation of the school slide, the construction and placing of bird houses, and improving local tourism information. Valentin Molnar is one of the facilitators coordinating the TANZ high school club in Reșița. Nicoleta Voinea, Valentin’s club colleague and fellow facilitator, was also invited to the Densus workshop. The LIFE project “Urgent actions for the recovery of European Bison populations in Romania” includes annual bison releases in the Romanian Tarçu and the Poiana Ruscă Mountains. Once widespread across Europe, wild European bison were driven to extinction in the early twentieth century by hunting and habitat loss. Since 2013, Rewilding Europe and WWF Romania have been working together in the Southern Carpathians rewilding area to reestablish free-roaming populations of this iconic animal. The first two bison releases took place in 2014 and 2015 in the Țarcu Mountains, close to the small town of Armenis. In June 2016, a third bison release took place here as part of the LIFE Bison Project, with annual releases now ongoing. 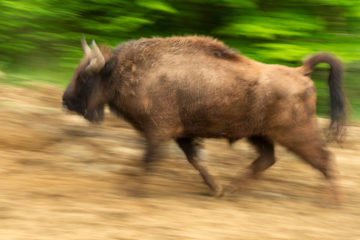 Earlier this year another 23 bison were released into the wild, including 14 animals at a second rewilding site in the Poiana Ruscă Mountains. The overall objective of the LIFE Bison project, which runs until 2021, is to establish a wild bison population that is demographically and genetically viable by reintroducing a total of 100 individuals at the Poiana Ruscă and Țarcu Mountains Natura 2000 sites. These animals are being sourced from zoos, breeding centres and nature reserves across Europe, and also from Romanian reserves such as Vama Buzăului. Learn more about Rewilding Europe’s work in the Southern Carpathians here. More information about the LIFE Bison project can be viewed here. Track reintroduced bison in the Southern Carpathians through the European Safari Company website here.